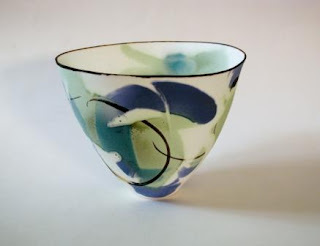 Two more images of recent work. 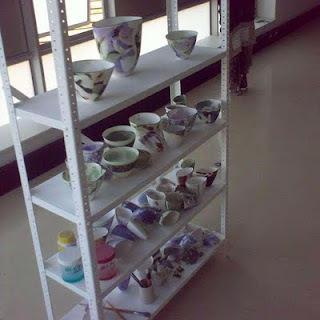 Here I have used my favored soluble salts again, namely cobalt and ferric chloride and potassium dichromate. 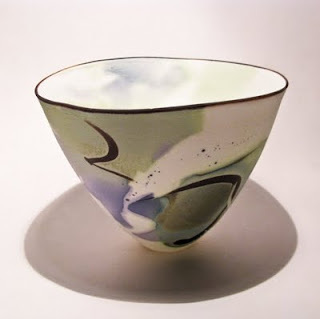 The salts are used on the bisque fired surface before firing to top temperature. 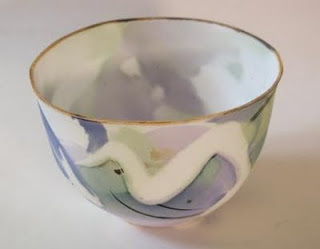 The image below is a new tea bowl form. 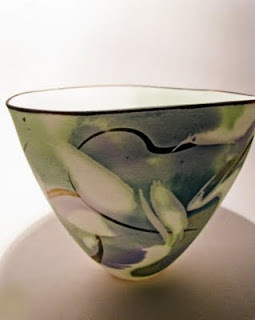 This piece is, as is most of my current work, cast in bone-china and decorated with a combination of wax-resist and cobalt and ferric chloride and potassium dichromate. 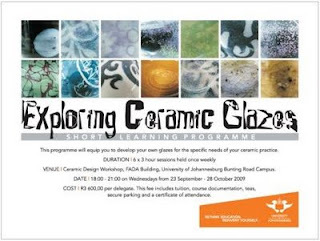 I will be running a short course in glaze development at the University of Johannesburg later this month. Click here for full details. After a few posts favoring method, hints and tips, I thought it was time to show a new piece of my work.